3 Child-Killing and Abortion: Justifiable Crimes to Escape the Ultimate Evil?!! 4 Universalism: Will All Be Saved Eventually? 5 Post-Mortem Evangelization: Can a Person Be Saved After Death? Although the most important reason for rejecting eternal torture is the simple fact that the Bible does not teach it, there are other strong arguments in opposition to it, not the least being that it is utterly repulsive to the instinctive moral and judicial senses of anyone with a conscience. As mentioned in Chapter One, the idea of God subjecting his human enemies to never-ending conscious torment would make Him morally worse than Hitler. After all, Hitler may have diabolically tortured, burned and gassed to death millions of people, but he at least allowed them to perish. By contrast, the doctrine of perpetual agony suggests that, even though God has the power to mercifully execute people cast into hell, He will instead choose to sadistically keep them alive, with no merciful pause or end to their torment. This is outrageously immoral. As far as justice goes, tell me, what sin or lifestyle of sin could possibly deserve never-ending conscious torment? Is it not obvious that finite sins committed in time and space cannot possibly deserve infinite punishing? Such a perverse sentence goes completely against God’s Old Testament equalitarian standard of justice — an eye for an eye and a tooth for a tooth (see Exodus 21:24 and Leviticus 24:20). In the past some have argued that an unredeemed person’s sins are worthy of infinite punishing (i.e. eternal torture) because they are committed against an infinite majesty. This argument may have been remotely plausible in more class-conscious times, like the medieval era, but it does not work today. Think about it, do we base the severity of punishment on the honor of the victim — as if murdering a governor is worse than murdering a janitor? Of course not. No judge today would determine the degree of punishment based on the honor of the victim (Pinnock 151-152). The Scriptures declare that God is perfectly just (Deuteronomy 32:4) and will punish every sinful person that rebels against him according to his/her degree of guilt, but God’s morality and justice forbid him from exacting a more extreme punishment than the one he Himself declared — death. Job’s friends, Eliphaz and Elihu, rightly argued, “Can a mortal be more just than God? Can a man be more pure than His Maker?” “Far be it from God to do evil, from the Almighty to do wrong” (Job 4:17; 34:10). It is impossible for a mortal human being to be more just or moral than God; yet, which of us — unless utterly debased — would consider torturing even a dog in fire for ten seconds, let alone for all eternity? John McKee, a supporter of eternal torture, honestly admits that everlasting suffering is an unpleasant idea, but argues that “we simply do not reject something because our flesh does not like it. On the contrary, what we humanly do not like is what is usually true” (3). McKee is arguing here that the very reason we should not reject eternal torture is because we instinctively have a strong aversion to it. According to this insane line of reasoning sexual molestation of children would be good because we instinctively consider it repulsive and perverted. Also, McKee is suggesting that it’s our flesh that does not like the notion of eternal torture when in reality it is our God-given sense of morality and justice that has an aversion to it. We all possess this natural sense of morality and justice because we’ve been created in the likeness of God Himself. Our God-given instincts and logical reasoning tell us that never-ending torment for temporal disobedience does not make sense; thus every attempt to justify eternal torture falls hopelessly short (Griesmeyer 13:3). The bottom line is that this sadistic doctrine of perpetual conscious suffering is inconsistent with the just, loving, moral character of our Almighty Creator as revealed in the Bible. It would be inhumane not to question such a glaringly immoral and unjust belief. To the unbeliever, a loving God that endlessly tortures people is appalling and ludicrous; Christianity is made out to be a mockery because of it. It’s such an obvious contradiction and falsehood that it turns many people off to Christianity altogether. Supporters of eternal torture insist that this belief encourages people to convert to Christianity, but the reverse is actually true. The whole matter is resolved by the view of literal everlasting destruction, which holds that the second death is both punitive and consumptive. Condemned people who reject God’s love in Christ are cast into Gehenna primarily for the purpose of eradication. They chose sin, and Gehenna, the lake of fire, is where they will reap the unfortunate wages of their choice—death. Yes, there will be a period of suffering as divine justice properly dictates for each individual—perhaps a split second, perhaps longer—but any such suffering will mercifully end in the ultimate just punishment, namely everlasting total extermination with no hope of resurrection. The idea of never-ending conscious agony is so utterly revolting to our instinctive moral and judicial senses that we could fittingly call it the ultimate evil. If we’re honest about the matter, this is exactly what it is. After all, is it possible to come up with a worse notion than perpetual fiery conscious misery—with no merciful respite or end to the suffering? The mere idea is so disturbing that it makes it a hard subject to discuss calmly. How can anyone with an ounce of human compassion contemplate the idea dispassionately when the view of ceaseless torture is so profoundly troubling? As pointed out in Chapter One, this modification is no “improvement” at all. Whether unending physical and mental pain in literal flames or equally grievous perpetual mental anguish because of loss and separation, the basic notion is the same—never-ending conscious torture with no merciful pause or end. The idea is equally sadistic and evil. Those of us who have experience with severe depression know this all too well. The only improvement this reform may offer is that it no doubt helps the evangelistic efforts of those who adhere to this view, being that eternal “separation from God” is a rather vague and unthreatening notion. The passage is saying that those who worship literal idols will become just as spiritually deaf, dumb and blind as idols. Most people today will not worship literal idols; but they have other “idols,” and they’re transformed into their likeness. For instance, the person who idolizes money will become the embodiment of greed and materialism; the juvenile who idolizes a self-destructive pop star will start to acquire self-destructive tendencies, etc., etc. Most Christians today only nominally adhere to the teaching of everlasting torture. They adhere to it because it remains in the doctrinal books and not necessarily because they have a strong conviction about it. They tend to ignore the subject because they are secretly ashamed of it and this, once again, explains the mysterious silence on the issue in most Christian circles. Since such people don’t really perceive the God they worship as an eternal torturer this diabolic belief has no real detrimental effect on their character. But what of those who staunchly support eternal roasting torture? I don’t think it’s possible to be a strong proponent of this immoral, unjust doctrine without it having a seriously negative impact on one’s character. Why? Because, again, people are transformed into the likeness of that which they worship. If they strongly believe their God will cruelly subject His human enemies to merciless unending torture, then they will start to transform into this image of monstrous heartlessness. I am reminded of this talk show that showed a group of religious “Christians” screaming at people in a department store parking lot. Waving their Bibles, they were shouting lines like “You’re all going to hell!” (Of course what they really meant by this was “You’re all gonna be tortured forever and ever! )” Needless to say, they looked like fiends, and to think that such people actually believe they’re obediently doing God’s will. What deception. I can’t help but be a mite suspect of the character of those who unswervingly defend the eternal torture doctrine. I’m talking about those who are so rigidly staunch about the subject that they respond to the view of literal everlasting destruction with a deathly scowl—the type who would go as far as to shun, slander and excommunicate adherents of literal everlasting destruction (that is, if it were in their power to do so). Sure, we could chalk this up to their blind adherence to religious tradition, etc. (as noted in the previous chapter), but the overwhelming clear biblical evidence for literal destruction should at least compel these people to openly admit that the eternal torture doctrine might not be true. You would expect them to at least admit that everlasting destruction is a viable alternative to their eternal conscious torture. What I’m getting at is that never-ending torment is such a fiendish notion that it can only originate from the dark recesses of the flesh, the carnal side of the human psyche. I say this because the flesh is the cesspool that gives birth to every perverted, ungodly, sadistic, hateful human thought and desire. 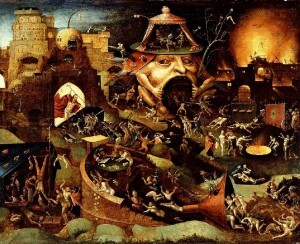 Have you seen some of the many ghastly portraits from medieval times that attempted to depict eternal torture in hell? This was a favorite artistic subject of the Dark Ages and the artists evidently put a lot of thought and imagination into their depictions (needless to say, these people had way too much time on their hands). I am reminded of one particularly repugnant piece that portrayed naked people being devoured by a colossal demonic beast and coming out its hind end. This is flesh—perversion of the lowest depth! I find it hard to comprehend that a godly Christian would dare to suggest that God is not only the creator of such a disgusting environment but that he’s the One who mercilessly condemns people to perpetually experience it without relief as well. (See Appendix B for a biblical examination of the flesh and human nature). I personally believe that these people who staunchly support eternal torture—these folks who almost seem to relish the idea of human beings consciously roasting in agony for all eternity and who become ridiculously irate when a fellow Christian rejects such a ghastly view (even though based upon a thorough biblical analysis)—I believe that such people have given reign to their flesh in this one area. Their very character must be questioned; it has somehow become warped and perverted. I say this because they would zealously do everything in their power to oppose supporters of everlasting destruction. Some go as far as to teach that adherents of literal destruction aren’t even saved, that they aren’t fellow brothers and sisters in the Lord. Such people have such a sinister, repulsive, hostile air to them that I wouldn’t doubt that, if this was the Inquisition era of medieval infamy, they would not hesitate to put to death or torture adherents of everlasting destruction. These are strong words, I know, but in view of the facts it’s obvious that something went severely wrong with these people’s spiritual development somewhere along the line. I can’t help but pity their spouses and children. Child-Killing and Abortion: Justifiable Crimes to Escape the Ultimate Evil?!! With this realization that eternal conscious torment is indeed the ultimate evil, this would make any measure to help others escape it justifiable—even committing a “lesser” evil to do so. For instance, we know that God does not hold children accountable until they reach the age of accountability. Before the age of accountability children are spiritually alive; after the age of accountability they’re spiritually dead (Paul seems to have been implying this in Romans 7:9). Thus if children die before the age of accountability they are guaranteed salvation unto eternal life because God will not hold them accountable for their sins. If we interpret eternal damnation to mean never-ending conscious torture, then we’d actually be doing children a favor by killing them before they reach the age of accountability, because we’d be guaranteeing their rescue from unending torment, the ultimate evil. This is, of course, in light of the fact that most theologians believe that the majority of people will be damned (based on passages like Matthew 7:13-14), so the odds are against people born into this world escaping condemnation to hell. In light of all this, murdering a child—unquestionably an evil act — essentially becomes a merciful and virtuous act because it wound insure the child’s rescue from the ultimate evil, living forever in torturous misery. It comes as no surprise that there have been actual cases where parents, heavily indoctrinated by the theology of eternal torture, have killed their children, believing it was for their good (!!). Andrea Yates is a prime example. This is potent testimony to how destructive this warped theology can be if truly taken seriously. We could say the same of abortion. In most Christian circles abortion is considered a great evil in society today — and I agree — but the view of eternal torture would actually make abortion a virtuous act. After all, killing a child in the womb would guarantee his/her salvation from perpetual existence in utter agony. In fact, unending conscious agony is such an outrageously evil concept that it would be better not to have children at all. Why give birth to children if the odds are they will end up living forever in perpetual roasting torture? Better to not even take the risk. One might suggest that the same arguments could be used against the view of everlasting destruction. Not really. According to the view of literal everlasting destruction everyone is blessed with a certain number of years of life and given the choice to accept or reject God’s gracious gift of reconciliation and eternal life through Jesus Christ. If they stubbornly choose to reject God, then He has no choice but to justly-but-mercifully execute them, for “the wages of sin is death.” Even if this is unfortunately the case, these people at least enjoyed a certain amount of years of life to live as they freely chose. It could never be argued therefore that life was not worth living for them. Permanently eradicating people from existence is indeed severe – and people should contemplate the ultimate consequence of their sin very seriously — but it is by no means the ultimate evil. In fact, as already pointed out, it is both a just and merciful measure on God’s part. Universalism: Will All Be Saved Eventually? that God was reconciling the world to Himself in Christ, not counting men’s sins against them. … God, who is the Savior of all men, and especially of those who believe. The one who sows to please the sinful nature from that nature will reap destruction, but will eventually be restored and granted eternal life; the one who sows to please the spirit, from the spirit will reap eternal life. There is only one Lawgiver and Judge, the One who is able to save and destroy (but He will ultimately restore and redeem those whom He utterly destroys and grant them eternal life). I could go on and on here. As you can see, the notion of universal salvation renders the Scriptures utterly nonsensical. Certainly, as 1 Timothy 2:4 points out, God “wants all men to be saved and come to a knowledge of the truth;” in fact, this is the very reason why this section of Scripture encourages believers to offer prayers for “everyone” (see verse 1); but what can God do if people freely choose to reject his offer of reconciliation and eternal life in favor of “sin, which leads to death” (Romans 6:16)? I’ve heard the question: Since God is all-powerful could He create a stone so big that he couldn’t move it? The answer is yes, the human heart. The reason all people can’t be saved is simply because God respects our freewill choices. He did not create robots, so he can’t force people to choose reconciliation and receive eternal life. People who reject God in favor of sin are choosing death, the wages of sin. So God will ultimately accommodate them. Their fate is really self-destruction—almost suicide—because God is only giving them what their freewill actions justly deserve. Will He enjoy this? Of course not. He doesn’t want “anyone to perish, but everyone to come to repentance” (2 Peter 3:9). 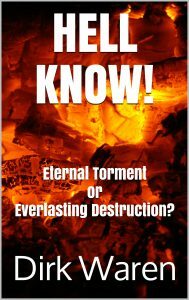 Another argument that universalists make is that the English words “eternal” and “everlasting” are translated from the Greek word aionios (ayy-OHN-ee-us) which more properly means “age-lasting;” they contend therefore that “eternal punishment” and “everlasting destruction” refer more specifically to ‘punishment that lasts an age’ and ‘destruction that lasts an age.’ Their point is that the punishment and destruction of the ungodly may indeed last an eon of time, but it certainly won’t last forever and ever. They are right about aionios (see Chapter Four) but there are two obvious problems with this argument: 1. “The age to come” spoken of in the Bible (e.g. Mark 10:29-30) is a perpetual age (itself made up of ages according to Ephesians 2:7) and therefore God’s age-lasting punishment of utter destruction will last perpetually. 2. God’s age-lasting punishment of age-lasting destruction is always spoken of in direct contrast to the age-lasting life that God will grant the righteous (e.g. Matthew 25:46), since the age-lasting life that God grants the righteous refers to perpetuity in the eternal age to come we must conclude that the age-lasting destruction of the ungodly will be just as eternal. There’s no getting around it, universalism is simply incompatible with clear biblical teaching and is therefore not a valid option to consider. For various reasons most of these people have overlooked the doctrine of literal everlasting destruction. Because of religious tradition they naturally assume two erroneous things: 1. that people can never cease to exist because they have “immortal souls,” and 2. that “hell” must refer to never-ending fiery conscious torment. The latter assumption, as already covered, is the ultimate evil—the worst conceivable concept. It is so profoundly disturbing that these people feel they have no recourse but to reject the idea of eternal damnation altogether. Once the idea of hell is discarded the only option left is universalism. The problem with this is that, in accepting universalism, these people are rejecting the authority of God’s Word, which clearly teaches that many are doomed to be cast into the lake of fire to suffer the second death. Rejecting the authority of the Holy Scriptures can lead to nothing but spiritual degeneration and apostasy. Literal everlasting destruction is the sound medium between the two extremes of eternal torture and universalism. Eternal torture is ridiculously too severe, yet universalism is ridiculously too lenient. 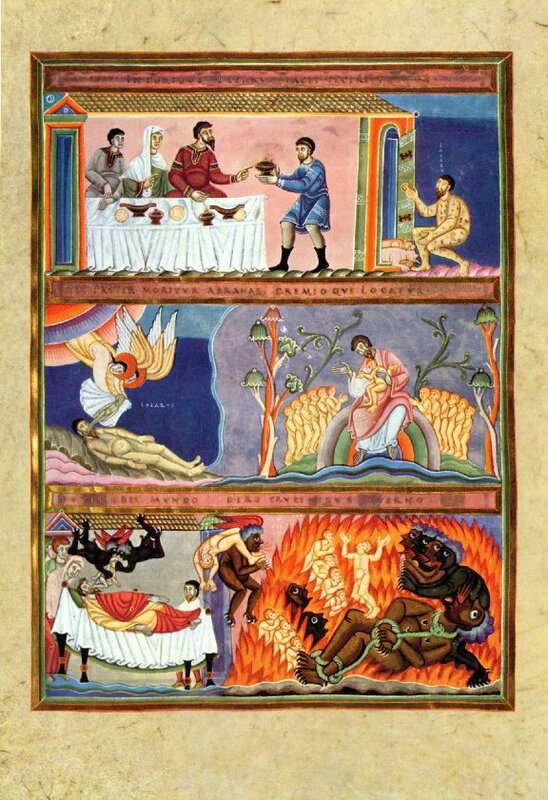 Eternal torture is sadistic, immoral and unjust, yet universalism suggests that people can do whatever wicked thing their evil hearts desire and still ultimately be blessed with everlasting life and reconciliation. This would of course make universalism unjust as well. Both these extremes should be rejected in favor of everlasting destruction—the balanced, acceptable, reasonable and scriptural view on the matter. Post-Mortem Evangelization: Can a Person Be Saved After Death? Post-mortem evangelization is the belief that people will have an opportunity after death to accept the gospel of Christ and receive eternal life; this view is also known as divine perseverance. 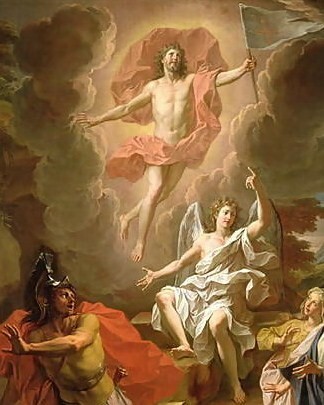 The obvious difference between this belief and universalism is that post-mortem evangelization does not advocate that all humanity will be saved, only that those who qualify will have an opportunity to hear, understand and accept the gospel after death when they are resurrected for judgment. This would include all the people throughout history who were never really exposed to the gospel or, for legitimate reasons, never truly understood it. There are many Christians who believe in post-mortem evangelization and many who at least suspect that it might be true; there are also whole sects that officially adhere to it, such as the United Church of God. This belief is appealing and makes sense in a way. For instance, I didn’t get saved until I was 20 years old, but what if I had died in a car wreck when I was 18? In such an event would there have been no hope for me? Or what about the old man who gets born-again at the age of 75 after living an entire life of ungodliness in contrast to the courageous 19 year-old soldier who goes off to die in battle and never gets the opportunity to accept the gospel? It seems quite unfair that the old man had 75 years to receive the gospel, whereas the 19 year-old barely had time at all. Or what about the millions of people who never truly accepted the message of reconciliation because they were force-fed a religionized, faulty version of the gospel, or rejected it because of the hypocritical medium through which it was delivered? For instance, the gospel came to many peoples around the world with the baggage of imperialism. How open would you or I be to the gospel if it came to us in this corrupt manner? Most people who reject the idea of post-mortem evangelization quote Hebrews 9:27: “Just as man is destined to die once, and after that to face the judgment, so Christ was sacrificed once to take away the sins of many people.” All this passage states is that every person is destined to die and be judged. Who’s to say that this judgment will not include an opportunity to accept the gospel — particularly people who never really had a chance to do so? And I saw the dead, great and small, standing before the throne, and books were opened. Another book was opened, which is the book of life. The dead were judged according to what they had done as recorded in the books. (13) The sea gave up the dead that were in it, and death and Hades gave up the dead that were in them, and each person was judged according to what he had done. (14) Then death and Hades were thrown into the lake of fire. The lake of fire is the second death. (15) If anyone’s name was not found written in the book of life, he was thrown into the lake of fire. Every spiritually dead person throughout history will be resurrected to appear before the throne of God for judgment. Each person’s life will be reviewed and judged accordingly. The text ends by stating that “If anyone’s name was not found written in the book of life, he was thrown into the lake of fire.” We have to admit that the passage leaves some measure of mystery. It does not say that everyone will be thrown into the lake of fire, only that a person will be cast there if his or her name is not found in the book of life. The two other prominent views concerning the unevangelized are inclusivism and restrictivism. Inclusivism is very similar to post-mortem evangelization in that it attempts to solve the very same troubling questions yet, unlike post-mortem evangelization, inclusivism rejects the idea of an offer of salvation after death. NOTE: Please do not confuse inclusivism with Carlton Pearson’s doctrine of inclusion, as they are two separate beliefs. Pearson’s “gospel of inclusion” is a form of universalism (i.e. all people will ultimately be saved), inclusivism is not. Inclusivism suggests rather that, although there will indeed be a post-mortem encounter with Christ for the unevangelized, it will only include those people who exercised faith in God as He was made known to them through creational revelation and providence (see Psalm 19:1-4 and Romans 1:19-20); this encounter will be to confirm their faith and introduce them to their Savior, not to evangelize them. In other words, unreached people may be saved if they respond in faith to God based on the light they have. Romans 2:14-16 seems to support this as it states that non-Christians, who do not have biblical revelation, have the requirements of God’s law written on their hearts; their consciences will therefore bear witness to excuse or defend them on judgment day. I should add that inclusivists maintain that, whether people have creational or biblical revelation, it is the same Holy Spirit who draws them to God, so the unevangelized who receive salvation are not “saving themselves” as some would criticize. As you can see, post-mortem evangelization and inclusivism are quite similar and distinguished by a very thin line. Adherents of post-mortem evangelizaton would argue, for instance, that having an encounter with Christ after death is evangelization, even though inclusivists contend that such people are already saved. The former could also argue that the people who qualify for evangelization after death are, in fact, those who respond in faith to the limited revelation they have. Restrictivism, as the name implies, is the belief that it is absolutely necessary to know about the work of Christ and exercise faith before one dies in order to be saved; hence, God does not provide salvation to those who fail to hear the gospel and respond in faith before they die. 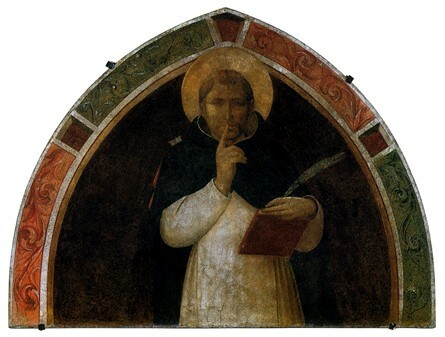 Although restrictivism was advocated by Augustine and is therefore the traditionally prominent view, it should be pointed out that both post-mortem evangelization and inclusivism are not new in terms of Christian history; each view has an impressive list of adherents throughout the church age. Although I personally reject a strict take on restrictivism and believe that God will offer salvation to qualifying unevangelized people, it would be counterproductive to get bogged down in such weighty matters. Best to just faithfully share the gospel, pray and encourage people to accept God’s gracious gift of reconciliation and eternal life, the sooner the better. One thing is fairly certain though: If a person has sufficient understanding and opportunity to accept the gospel before death, and foolishly doesn’t, I wouldn’t bank on God offering him or her any further opportunity after death. …for He comes to judge the earth. He will judge the world in righteousness and the peoples with equity. When God makes His ultimate judgment on people we can be absolutely certain that His judgment will be righteous and just. This is His very nature. The verse states that He will judge people with equity. This means He will be completely fair, ethical and impartial. Christians should simply do their “job” and leave the rest in God’s capable hands. When people concernedly ask about their departed unsaved loved ones, Christians can confidently assure them that they are in the hands of a just, loving God; and leave it at that. In this section we’re going to consider the Catholic doctrine of “purgatory,” which is an unbiblical doctrine, but there are elements of it that relate to the biblical doctrine of the Judgment Seat of Christ. So this is a springboard into the next section, which covers the Judgment Seat. 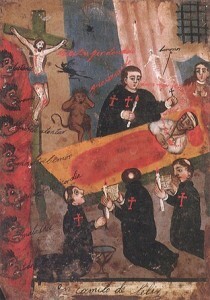 Whereas post-mortem evangelization and inclusivism concern the unevangelized after death, purgatory concerns the evangelized after decease; in particular those who die with unconfessed sins. This would naturally include “backslidden” Christians — people who were at one time legitimately born-again spiritually, but for some reason settled into a lifestyle of carnality or ignorance of God. 3. that God assists those in this purification in response to the actions of people who are alive. Akin also stresses that purgatory should not be understood as a place where people go if they are not bad enough for damnation and not good enough for eternal life in the new heavens and new earth. This wrongly gives the impression, says Akin, that purgatory is some type of middle destiny rather than a temporary phenomenon (1,7). 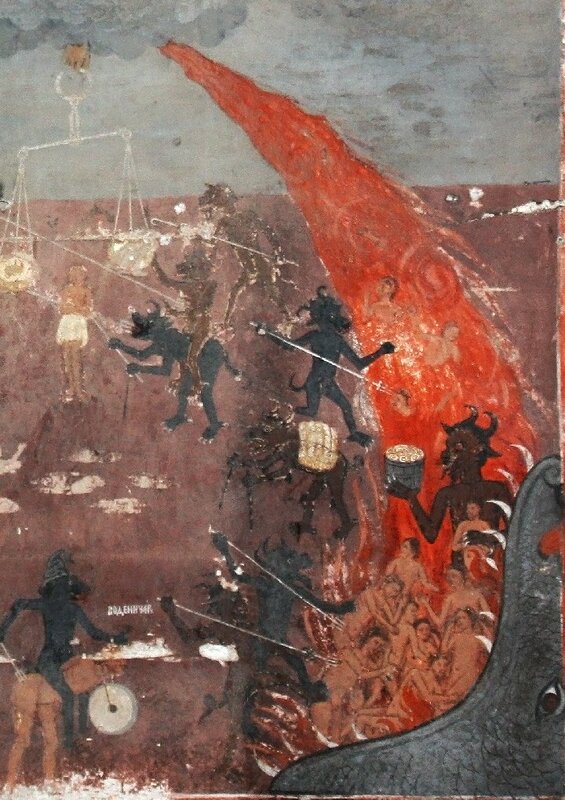 The notion that purgatory is an actual place and a middle destiny between Hades and Heaven can be traced to Dante Alighieri’s Divine Comedy from the early 14th century. Dante’s poem, although clearly an allegory of an imaginary journey through hades, purgatory and heaven essentially became accepted as literal truth, despite what Scripture plainly teaches. I’m not bringing the subject of purgatory up to encourage people to adopt Catholic theology (although if Catholic theology is biblical we should by all means adopt it). I’m bringing it up because there are some biblical passages that relate to this concept of purgatory and they need to be examined because people inevitably wonder if these texts are connected to the subject of eternal damnation. The Bible teaches that a spiritually born-again Christian is given the “gift of righteousness” through Christ (Romans 5:17 & 2 Corinthians 5:21). Because of this gift of righteousness the believer becomes “righteous” in God’s sight or, we could say, in-right-standing with God. If the believer happens to sin, he or she would no longer be “righteous.” We have scriptural instructions for when this inevitably occurs: “If we confess our sins, he is faithful and just and will forgive us our sins and purify us from all unrighteousness” (1 John 1:9). According to this passage, if we confess our sins — admit and turn from them — God will faithfully forgive us and purify us from all unrighteousness. If God purifies us from all unrighteousness we’ll obviously be righteous again, that is, in-right-standing with him. Here’s the point: What if a legitimate born-again believer dies with unconfessed sin in his or her life? Because the sin was never confessed it would not have been forgiven. The believer would not therefore be purified from all unrighteousness. Consequently, he or she would have to be purified of this unrighteousness sometime after he or she dies. This seems to be what the notion of purgatory is about. 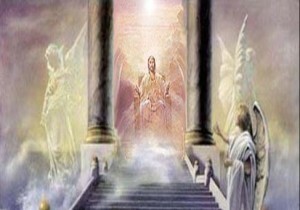 For we [Christians] must all appear before the judgment seat of Christ, that each one may receive what is due him for the things done while in the body, whether good or bad. (11) Since then, we know what it is to fear the Lord, we try to persuade men. This passage plainly shows that all believers will be judged for how they lived their lives. They will receive what is “due” them for what they did while in the body—whether good or bad. The judgment seat of Christ is the judgment that believers must experience; spiritually-alive Christians will not be evaluated at the great white throne judgment, as that judgment only concerns spiritually-dead people. The purpose of the judgment seat of Christ is obviously not to determine who will be granted eternal life, as all spiritually born-again believers rightfully possess such, although there may be exceptions, which we’ll consider in a moment. The purpose of this judgment is to acknowledge and reward Christians for the good things they did while in the body and to rebuke and penalize them for the bad. This would include both sins of commission and sins of omission, as well as an appraisal of their works. A sin of commission is something that we do, like committing adultery. A sin of omission involves something that we did not do that we should have done; for instance, if God prompts a lady to give a poor person $100 and she doesn’t do it, or if God calls a lawyer into full-time ministry and he ignores the call. These are sins of omission. There’s something in the above passage that we need to take note of: After stating Christians will receive what is due them for the good or bad things they did, the apostle Paul then states in verse 11: “Since then, we know what it is to fear the Lord.” The King James Version translates this as “Knowing therefore the terror of the Lord.” This statement would make absolutely no sense if people just receive rewards at the judgment seat of Christ (as I’ve heard quite a few ministers teach). Knowing that Christians will be held accountable for the bad things they do in this life can inspire some healthy “terror.” For those of us who are Christians, it’s spiritually healthy to regularly remind ourselves that we will one day stand before the throne of God Himself and give an accounting of our lives. The fear of the Lord truly inspires holy (pure) living. The implication here is that some sins—sins not dealt with and forgiven in this age—must be dealt with and forgiven in the age to come. We will be held accountable to these sins at the judgment seat of Christ, penalized and ultimately forgiven. This does not in any way mean that the sufferings of Christ were insufficient to save us. All of our sins that are “under the blood” are forgiven; it’s the sins that are not “under the blood” when we die that must be dealt with at the judgment seat of Christ. The judgment seat of Christ will also include an examination of our works. Some legitimate Christians tend to be rather lazy and disinterested in the kingdom of God; they consequently produce little or no “works” for the advancement of God’s kingdom in this life. Such an absence of works will be viewed as sins of omission. For the rest of us, however, our works will be examined and tested at the judgment seat of Christ. If any man [i.e. Christian minister] builds on this foundation [of Jesus Christ] using gold, silver, costly stones, wood, hay or straw, (13) his work will be shown for what it is, because the Day will bring it to light. It will be revealed with fire, and the fire will test the quality of each man’s work. (14) If what he has built survives, he will receive his reward. (15) If it is burned up, he will suffer loss; he himself will be saved, but only as one escaping through the flames. This passage contextually refers to a pastor’s work of building a church congregation, that is, a group of Christian disciples (see verses 6-10 for verification). The foundation that the minister builds on is the foundation of salvation through Christ. The pastor can build on this foundation with gold, silver and costly stones or with wood, hay and straw. “Gold, silver and costly stones” is a metaphor for sound biblical doctrine and Christ-like leadership, whereas “wood, hay and straw” represents unsound doctrine and ineffective or abusive leadership. At the judgment seat of Christ every minister’s work will be tested by fire. If what they have built survives they will be rewarded. The only works that will survive this test of fire is “gold, silver and costly stones.” If the ministers’ works are “wood, hay and straw” these works will be burned up. The minister himself (or herself) won’t lose their salvation but they will certainly “suffer loss.” This indicates that even though it is technically their works that will be tested and burned up, these ministers will personally feel pain or discomfort as a result. Don’t you know that you yourselves are God’s temple and that God’s Spirit lives in you? (17) If anyone destroys God’s temple, God will destroy him; for God’s temple is sacred and you are that temple. This is a sobering warning for all Christian ministers. Paul makes it clear that every believer is “God’s temple;” every Christian is a sacred temple in which the Holy Spirit dwells. Verse 17 solemnly declares that God will destroy any person who destroys this temple. The context is referring to pastors and teachers who destroy Christians with their “wood, hay and straw,” which, again, represent unbiblical doctrine and abusive actions. Many have used verse 17 to preach against smoking and alcohol abuse but the context is plainly referring to ministers whose teachings and actions cause people to fall away from God, in effect destroying God’s temple. We all know what Paul’s talking about here. Jim Jones is a perfect example of a supposed Christian minister whose work ultimately destroyed naïve believers and could therefore properly be categorized as “wood, hay and straw.” David Koresh is another fitting example. These are just two well-known extreme cases; I’m sure there are less extreme cases in your area. Notice what verse 17 plainly states God will do to such a pastor or teacher whose work destroys people: “God will destroy him.” This means that God will cut the abusive, hypocritical minister off from salvation and cast him into the lake of fire where he will “destroy both soul and body,” as Jesus put it in Matthew 10:28. Please note that God will destroy such persons — eradicate them from existence — not subject them to never-ending conscious torture. This is further support for the view of literal destruction. Although this passage from 1 Corinthians 3 contextually refers to the testing of the work of pastors and teachers, we can apply it to all Christians because every believer is called to serve the Lord on this earth, even though the vast majority are not called to pastoral/teaching ministry. Each Christian will have works that God calls him or her to do and these works will be appraised at the judgment seat of Christ. For example, God will call Christians to witness to certain people in their lives; this work will ultimately be tested at the judgment seat of Christ. Their motives will be evaluated: Did they witness to these people because they love them as God loves them and are following the leading of the Holy Spirit or did they witness to them to fulfill an evangelistic quota or to appear pious? Needless to say, works produced from fleshly motives are “wood, hay and straw” and will be burned up. The “master” in this story is an obvious reference to Jesus Christ. He goes away and puts a “manager” in charge of his “servants” until his return. The “manager” refers to Christian ministers (apostles, pastors, teachers, etc.) whom Jesus puts in charge of common believers, referred to as “servants.” The master (Jesus) instructs the manager (Christian minister) to properly feed and take care of his servants (common believers) until his eventual return. One of the primary tasks of a Christian minister is to “feed” the people under his care a proper Scriptural diet so they can spiritually mature and learn to walk in newness of life (see 1 Peter 2:2, Ephesians 4:11-15 and Hebrews 5:12-13). In verses 43-44 Jesus says that the minister who does this will be rewarded. Jesus then brings up those ministers who will be penalized for their “wood, hay and straw” in verses 45-48. Verse 45 shows an abusive minister who damages those under his “care,” not to mention indulges in gluttony and drunkenness. Verse 46 solemnly declares that such a minister will be “cut to pieces” and cast away as an unbeliever. Matthew’s account tells the same story but adds that Jesus “shall cut him in pieces and assign him a place with the hypocrites; weeping shall be there and the gnashing of teeth (Matthew 24:51 NASB). We’ve already examined the scriptural meaning of the phrase “weeping and gnashing of teeth” in Chapter Five so let’s focus on the first portion of this verse. Being “cut to pieces” no doubt refers to severe flogging. After this punishment is inflicted the abuser will be cast away to where all unbelievers and hypocrites (pretenders) are disposed of — the lake of fire; and we know from our study that when people are cast into the lake of fire “raging fire will… consume the enemies of God” (Hebrews 10:26-27). This coincides perfectly with what Paul said would happen to abusive, false “ministers” in 1 Corinthians 3:17 above: God will destroy them. In verses 47-48 Jesus states that some “servants” will be beaten with many blows and some with few blows based on their level of spiritual maturity and awareness. Jesus refers to these people as “servants” and not hypocrites, as is the case with the abusive minister noted in verses 45-46. So Jesus is talking about legitimate Christians who will be judged and penalized at the judgment seat of Christ. We can confidently conclude this because only believing Christians can be referred to as Christ’s “servants,” not unbelievers. The abusive minister in verse 45 is initially referred to as a “servant” but is exposed as a “hypocrite,” which literally means “actor.” So we’re talking about a person that is only pretending to be a servant of Christ. He’s a fake. This person may have begun as a legitimate Christian servant but somehow became corrupt over time. Position, power, pride, money, lust, etc. can easily corrupt any of us and cause us to fall away from the Lord if we fail to guard our hearts (Proverbs 4:23). Whether the servant is punished with many blows or few blows, the fact is that this punishment is of a limited duration. The words “many” and “few” are not specific, but both indicate a limit to the “blows.” In other words, no one will sadistically suffer “many blows” without end throughout all eternity. Consequently, even if we were to misapply this passage to the eternal damnation of unbelievers, it would still not support never-ending torment. 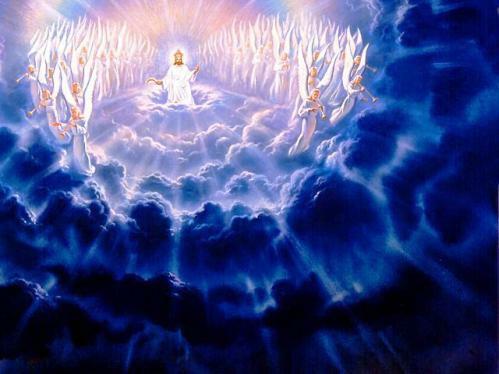 Our conclusion on purgatory and the judgment seat of Christ is this: the notion of purgatory is only true in the sense that every believer must appear at the judgment seat of Christ to receive what is due him or her for the things done in this life, whether good or bad. They will be rewarded for the good and held accountable for the bad. All sins repented of in this life will have already been dismissed and therefore will not be judged. Any punishment deserved will be of a purging nature and of limited duration. All are assured the resurrection unto eternal life, excepting the base few exposed as hypocrites, i.e. fakes. NOTE: You can purchase a low-priced book version of HELL KNOW, which contains additional material, here (350 pages); or get the eBook version here for only $2.99. Both links allow you to “Look inside” the book. I need to see a better argument against Universalism. I was hoping you would have one. Did you read this section? And, if so, what is it that you don’t find convincing? Thank you for the time that you put into your response. Now, I’m not saying that I disagree, but my point was that if you are right, then Paul was remiss when he said that the wages of sin is death. It seems to me that he should have said, “One of the wages of sin is death”, if there is in fact a different “wage” for believers. If I need to receive blows, or whatever it would be, I would accept it, as it would be nothing compared to what I deserve, to be sure. Paul obviously wasn’t remiss because he was speaking by the Spirit who is God (2 Peter 1:20 & 3:16). Also, I’m sure you know this, but it wasn’t just Paul who said that death is the wages of sin: Jesus also said it (John 8:51), James too (James 1:14-15 & 5:20) and John as well (Revelation 2:11 & 20:13-15). As noted in my previous post, all of a believer’s sins that are “under the blood” are forgiven; it’s the sins that are not “under the blood” when he/she dies that must be dealt with at the Judgment Seat of Christ. This includes sins of omission as well as ministerial abuses, including passive abuses. If we’re talking about a genuine believer then the issue of damnation is off the table because Christ was our substitutionary death; i.e. he suffered death in our place. However, this doesn’t give believers a license to sin and get away with it, as in “Gee, Jesus died in my place so now I can get away with unrepentant sin – Yee Haw.” Notice what Paul said to the Roman believers: “You, then, why do you judge your brother or sister? Or why do you treat them with contempt? For we will all stand before God's judgment seat” (Romans 14:10). He’s warning Christians to not un-righteously judge fellow believers or to treat them with contempt (that is, to ignore them, despise them or look down on them). Why? Because, if they do and don’t repent, they’ll be accountable for it when they stand before the Lord at His Judgment Seat. Again, if we’re talking about truly spiritually regenerated believers then the issue of damnation is off the table, but they’ll still have to answer for such sins because they were never dismissed since they were never confessed, i.e. genuinely repented of, before they died. The LORD is the all-righteous, all-just Judge who will issue out penalties and rewards at the Judgment Seat accordingly. I’ve had ministers write me because they object to the notion of believers being judged on the grounds that Christ returns “to bring salvation to those who are waiting for him” and (supposedly) not to judge them (Hebrews 9:28). Yes, Jesus is returning to bring salvation to believers, but this does not negate the reality and necessity of the Bema Judgment, as detailed above. I know believers who rip off people in business without a second thought or readily engage in gossip & slander, usually due to hidden (but obvious) envy, rivalry and malice. What doctrine of demons have they embraced to cause them to walk in such blatant unrighteousness without repentance? Answer: The false doctrine that believers can sin all they want with no care of repentance and never be held accountable because “Jesus is returning to bring salvation only to believers and no judgment whatsoever.” It’s a wicked and thoroughly unbiblical doctrine! The Judgment Seat of Christ is part of the six basic doctrines and is therefore a foundational teaching of true Christianity. It inspires God-fearing holiness and a spirit of humble repentance in believers and protects them from false doctrine, like the idea that believers won’t have to stand before Christ at His Judgment Seat. I realize if this material is new to someone it’s going to take a while for it to sink in. However, the truth about the Bema Judgment isn’t really new because the corresponding Scripture passages have always been there since they were originally written via the Holy Spirit. They’re only “new” to people because whole camps and sects in the body of Christ ignore them or write them off due to their particular religious tradition. Seminary students go to the same schools their pastors went to and so the error is perpetuated. Another thing to keep in mind regarding your main question: Why don’t genuine believers reap the wages of sin for unconfessed sin, which is death? Because they’re spiritually regenerated of the imperishable seed of Christ (1 Peter 1:23) and hence intrinsically possess eternal life in their spirits – i.e. the perpetual life of the age to come. The Greek word for ‘seed’ is sperm in the Greek (see 1 John 3:9). In short, they’re “born of God” and are therefore “children of God” (John 1:12-13) and, as such, issuing out the wages of sin isn’t even an option. See this section of Chapter Ten of Sheol Know and the following section for more details. Lastly, this isn’t an issue of who’s right or who’s wrong (not that I took your corresponding statement the wrong way, because I didn’t). It’s an issue of: What does God’s Word honestly teach based on a thorough, balanced and unbiased (i.e. non-sectarian) study? To discover the truth, all of the pertinent passages on the subject must be considered and seriously evaluated. All the pieces of the “puzzle” must fit in their proper place. Bible teachers/preachers who essentially cut out unmistakable passages or write them off because they don’t fit their unbalanced theology are in error and will have to answer for it when they stand before the Lord Christ at His Judgment Seat, which is ironic since they don’t even believe this will happen because they think the Judgment Seat is solely about receiving rewards for believers. I’m just pointing this out to emphasize that I’m not concerned with “proving I’m right” on this topic or any other; I'm only concerned with honestly considering all the relevant texts on the subject and drawing the obvious conclusion(s), even if it happens to disagree with someone’s religious tradition or what’s currently hip with Evangelicals. Anyway, thanks for the feedback, GraceReceiver; you make quality points. God Bless You. However, I struggle with this concept of we as believers receiving punishment for unconfessed sins. Paul is clear that the only “wage” that can be paid for sin is death. It’s a good point, GraceReceiver, and I’m glad you posted it because it provides me the opportunity to go into a little more detail on the topic of the Bema Judgment. Let me share a number of important scriptural points that offer some insights and then address your (implied) question. Just keep in mind the hermeneutical rule: Scripture interprets Scripture. Your point is rooted in a stronghold belief in Evangelical circles (amongst others) that believers will only receive rewards at the Judgment Seat of Christ, but 2 Corinthians 5:10-11 and other pertinent passages show otherwise: Believers will be judged for how they lived their lives and will receive what is “due” them for what they did while in the body — whether good or bad. The “bad” can’t be talking about confessed sin because all confessed sins will be forgiven — dismissed — by the LORD, as shown in 1 John 1:8-9, which means the passage must be talking about unconfessed sins that were never forgiven because the believer never humbly confessed them. Since the Lord never forgave these sins they will be held accountable to them at the Judgment Seat. As noted in the section The Judgment Seat of Christ (The Judgment of Believers), this would include sins of commission and sins of omission. There will also be an appraisal of our works. For instance, it says in James 3:1 that “Not many of you should become teachers, my fellow believers, because you know that we who teach will be judged more strictly.” James was addressing believers and says that those who teach will be judged more strictly. More literal translations say that those who teach will “receive a stricter judgment” (e.g. NASB and NKJV). The Greek word “judgment” (or “judged” in the NIV) is krima (KREE-mah), which is used in the phrase “eternal judgment” in Hebrews 6:2. Where do you suppose those who teach God’s Word will experience this stricter judgment? Not the Great White Throne Judgment, since that judgment applies strictly to spiritually unregenerated unbelievers (Revelation 20:11-15). No, people who teach God’s Word will be judged at the Judgment Seat of Christ, which is where believers are judged. The aforementioned section on The Judgment Seat of Christ shows that 1 Corinthians 3:12-17 applies to this judgment as it refers to the appraisal of ministers’ works. If what they built “survives” they will be rewarded. The only works that will survive are “gold, silver and costly stones.” If the ministers’ works are “wood, hay and straw” they will be burned up. The ministers themselves won’t lose their salvation but they will certainly “suffer loss.” This indicates that even though it is technically their works that will be tested and burned up, these ministers will personally “suffer” some kind of loss as a result. Verses 16-17 are within this context and refer to pastors & teachers who destroy Christians with their “wood, hay and straw,” which represent unbiblical doctrine and abusive actions. Verse 17 thus solemnly declares: “If anyone destroys God’s temple, God will destroy him; for God’s temple is sacred and you are that temple.” Many have used verse 17 to preach against smoking and alcohol abuse, but the context is plainly referring to ministers whose teachings and actions cause people to fall away from the Lord, in effect destroying God’s temple. The LORD destroying such people recalls Matthew 10:28 and Luke 19:27. In other words, these arrogant, foolish, abusive “ministers” will indeed reap the wages of sin, which is death — literal destruction of both soul and body in the lake of fire. As shown in that section on The Judgment Seat of Christ, Jesus taught a parable in Luke 12:42-48 that coincides with Paul’s teaching from 1 Corinthians 3:12-17. The “master” in this story is an obvious reference to Jesus Christ. He goes away and puts a “manager” in charge of his “servants” until his return. The “manager” refers to Christian ministers (apostles, pastors, teachers and so on) whom Jesus puts in charge of believers, referred to as “servants.” The master (Jesus) instructs the manager (Christian minister) to properly feed and take care of his servants (believers) until his eventual return. One of the primary tasks of a Christian minister is to “feed” the people under his care a proper Scriptural diet so they can spiritually mature and learn to walk in newness of life (see 1 Peter 2:2, Ephesians 4:11-15 & Hebrews 5:12-13). In verses 43-44 Jesus says that the minister who does this will be rewarded. He then brings up those ministers who will be penalized for their “wood, hay and straw” in verses 45-48. Verse 45 shows an abusive minister who damages those under his “care,” not to mention indulges in gluttony and drunkenness. Verse 46 solemnly declares that such a minister will be “cut to pieces” (i.e. severely flogged) and cast away as an unbeliever when Jesus returns. In verses 47-48 Jesus says that some “servants” will be beaten with many blows and some with few blows based on their level of spiritual maturity and awareness. The Messiah refers to these people as “servants” and not hypocrites, as was the case with the abusive minister noted in verses 45-46. So Jesus is talking about legitimate Christians who will be judged and penalized at the Judgment Seat of Christ. We can confidently conclude this because only believing Christians can be referred to as Christ’s “servants,” not unbelievers. The abusive minister in verse 45 is initially referred to as a “servant” but is exposed as a “hypocrite,” which literally means ‘actor.’ So we’re talking about a person who is only pretending to be a servant of Christ. In short, he’s a fake. This person likely began as a legitimate Christian servant but somehow became corrupt over time. Position, power, pride, money, lust, etc. can easily corrupt any of us and cause us to fall away from the Lord if we fail to guard our hearts (Proverbs 4:23). After stating that Christians will receive what is due them for the good or bad things they did in 2 Corinthians 5:10, Paul then says in verse 11: “Since then, we know what it is to fear the Lord.” The King James Version translates this as “Knowing therefore the terror of the Lord.” This statement makes no sense if people just receive rewards at the Judgment Seat of Christ, as I’ve heard some ministers erroneously teach. Knowing that Christians will be held accountable for the bad things they do in this life can inspire some healthy “terror.” For those of us who are Christians, it’s spiritually healthy to regularly remind ourselves that we will one day stand before the Judgment Seat of the Lord Himself and give an accounting of our lives. Needless to say, the fear of the Lord inspires holy (pure) living. It inspires humbly “keeping with repentance” when we miss it (Matthew & Luke 3:8). The implication of Jesus’ words in Matthew 12:32 is that some sins — sins not dealt with and forgiven in this age — must be dealt with and forgiven in the age to come. We will be held accountable for these sins at the Judgment Seat of Christ, penalized and ultimately forgiven. This does not in any way mean that the sufferings of Christ were insufficient to save us. All of our sins that are “under the blood” are forgiven; it’s the sins that are not “under the blood” when we die that must be dealt with at the Judgment Seat of Christ. Someone might argue that Jesus died on the cross for our past, present and future sins and therefore it’s not technically necessary to keep in repentance to be forgiven of future sins. While it’s true that Jesus died for our future sins along with our past and present ones, you can’t very well repent of something you haven’t even done yet, which is why 1 John 1:8-9 is in the Bible, as well as other passages, like Proverbs 28:13. Again, those who die with unconfessed sin will have to answer for these sins at the Judgment Seat since they were not confessed and forgiven (dismissed by the Lord) before they physically died. Because they weren’t dismissed they’ll be accountable to them. While they won’t have to suffer the ultimate wage of sin since Christ paid the penalty of death in our place, the aforementioned passages show that they will be penalized as the Lord dictates at the Judgment Seat. Consider the biblical example of David, “a man after God’s own heart” and arguably Israel’s greatest king: He was in covenant with the LORD under the Old Covenant and yet he foolishly committed adultery with Bathsheba and indirectly murdered her husband. After Nathan’s rebuke David passionately repented (Psalm 51) and the LORD forgave him. As such, he didn’t have to suffer death — the official “wages of sin” — but God penalized him with lesser punishments: His infant son died and “the sword would never depart from his house.” See 2 Samuel 12:10-14 for verification. The only “believers” who will reap the wages of sin in the age to come — i.e. eternal death — are those who won’t be “forgiven… in the age to come,” which includes the aforementioned abusive “ministers” exposed as hypocrites — fakes. Any individual not forgiven by the LORD must reap the wages of sin and the wages of sin is death. Those believers who are “penalized and ultimately forgiven,” as I put it above, will obviously be humbly repentant when they stand before the Lord at the Judgment Seat, like David was after Nathan’s rebuke, which unlocks the Lord’s grace and forgiveness (James 4:6 & 1 Peter 5:5). Even though this is so, the above passages plainly say that they will receive “what is due them” for the “bad,” which could be as light as “suffering loss” or as extreme as suffering “many blows.” Of course, the latter phrase was used in a parable — a figurative story — so it doesn’t necessarily mean literal blows, but — whatever the case — it clearly won’t be a fun experience, which explains why Paul said “Since then, we know what it is to fear the Lord.” Such punishment is in keeping with the LORD’s general policy regarding people who are in covenant with Him: Penalties for disobedience and rewards for obedience (e.g. Deuteronomy 28). Extreme examples of the latter concerning believers under the dispensation of grace include Ananias & Sapphira (Acts 5:1-10) and “Jezebel” and her followers at the church in Thyatira (Revelation 2:20-23). Yes, I realize that it could be argued that these people weren’t really believers even though they were functioning as believers within the context of local assemblies. If this is the case then they will be exposed as fakes when they stand before the Lord and suffer damnation, like all unrepentant unbelievers. But why do some suffer the full penalty of sin — everlasting destruction — and others are simply penalized and forgiven? It’s based on the Lord’s just judgment: The former are exposed as actors whom the Lord “never knew” (Matthew 7:15-23) whereas the latter are legitimate members of the body of Christ, despite the folly of their unconfessed sins and dubious quality of some of their works. The former have no savior who died for their sins whereas the latter do. Let me share a comparison in the natural world: A Christian guy I know started straying from the Lord over a period of years and last December foolishly robbed a truck stop store of $3500. He said he was hopped-up on pills when he did it. Several hours later and many miles away he “came to his senses” and returned the stolen loot to the store: He put it in a trash can behind the facility and then called the manager, humbly apologized, and told him where the money was located, which they found. While he committed an armed robbery he ultimately realized his error and humbly repented. Compare this real-life story to a fictional guy who robs the same store, maybe even kills someone doing it, and is later caught after blowing all the money. The former was clearly repentant and the judge took this into account when he was judged. Nevertheless, he was judged with a short prison sentence, plus probation. The latter, by contrast, is sternly given the maximum punishment. For more insights about the Judgment Seat of Christ, as far as the Lord judging what believers did with their resources on earth (talents, money, time, etc. ), see this section of the Epilogue of Sheol Know. You probably noticed that much of this response is a pastiche of the material from the section on The Judgement Seat of Christ. Give it another read sometime and chew on the requisite passages. Those who teach that believers only receive rewards at the Judgment Seat of Christ and don’t have to answer for unconfessed sin, etc. essentially cut these passages out of the Scriptures. They’re frankly not being responsibly balanced with God’s Word on the topic, likely because of the official stance of their sect or religious tradition. They might be sincere men & women of God, but they’re sincerely wrong on this point or, at least, partially wrong. These sobering passages are in the New Testament as a warning to all believers: We’re going to stand before the Lord one day so we need to be wise, not foolish, and humbly KEEP IN REPENTANCE when we miss it. This keeps our spiritual arteries clear of the blockage of unconfessed sin and assures God’s grace continually flowing into our lives. I can’t very well ignore these pertinent passages because, as a minister of the Word, I’m going to “be judged more strictly” and I understandably want my judgment to end with these words: “Well done good and faithful servant”!